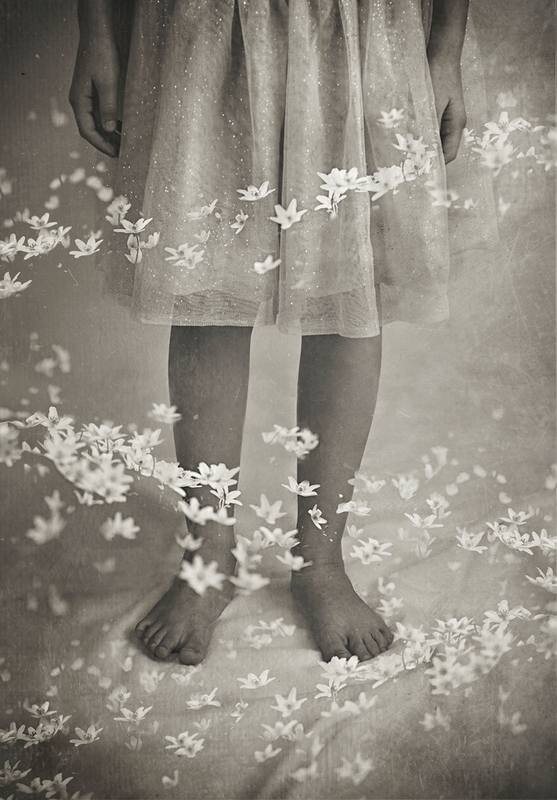 Flowers are flowing around the legs of a girl with a dress. A beautiful picture for everyone's living room or bedroom with the classical black and white. Making feelings and thoughts rise up.